The 2012 U.S. presidential election campaign finally comes down to election day and a handful of battleground states that will decide whether Barack Obama gets another four years in office or Mitt Romney replaces him. Nervous about the dead-even race in his home state of Wisconsin, Obama supporter Jim Apple drove his mother Nancy down to one of the president’s campaign phone-bank offices in Racine so she could volunteer on the day before the vote. Looking around the office, Apple, 39, a grocery-store worker and "full-blown" Democrat who finds watching election results coming in "nerve-racking," asked if he could also help out. "It's empowering because we could be the key state," Apple told CBCNews.ca. "We have the opportunity to make the choice, although I hope it won't be that close." Wisconsin, also home to Romney’s running mate Paul Ryan, is considered a toss-up between Obama and the Republican challenger, who both embarked on break-neck tours of the swing states in the campaign’s final days and spent untold millions in advertising targeting them. The latest polls suggest national support for the two candidates is deadlocked around 49 per cent for each candidate. But the winner is decided not by the popular vote but by the states through the electoral college, which assigns states their number of electoral votes based on the number of members in their congressional delegation. The president starts off the night with more so-called decided or safe states — the states where he is almost certain to win — than Romney, and many more paths to victory on the electoral college map. CBC News has full live coverage of U.S. election night. Coverage begins on CBC NN at 5 p.m. ET with a special three-hour Power & Politics. It's followed by our CBC News Election Night special with Peter Mansbridge at 8 p.m. ET, on CBC News Network and livestreamed on CBCNews.ca. You can find updated state-by-state results and join our live chat at CBCNews.ca starting at 6 p.m. ET. Share your views and hear from CBC correspondents at key locations in the U.S. and Canada. CBC Radio's election special begins at 9 p.m. ET with Alison Smith in Washington. Read full CBC U.S. election night programming details. Along with Wisconsin, swing states Ohio, Florida, Virginia, New Hampshire, Iowa, Colorado and Nevada have the electoral votes in a number of scenarios to push one candidate above the other in the all-out race to 270, the number needed to be elected president. In these states, it boils down to turnout, with both sides touting their advantages, either in organization on the ground or enthusiasm among their supporters. Conventional political wisdom in this year's race has designated Ohio the belle of the ball, and no Republican has ever been elected president without winning the state. If Obama wins Ohio’s 18 electoral college votes, he’s within striking distance of 270, while Romney's path becomes much harder should he lose the state. A member of the "rust belt" of hard-hit blue-collar manufacturing states, Ohio also embodies much of the nation’s economic struggles and fears over the past four years. But its economy, with heavy ties to the auto industry, also has also shown signs of improving, and Ohio’s unemployment rate of seven per cent is below the current national average. The closely contested race has meant no peace for Ohioans on the airwaves. "I’ve never seen so many campaign commercials in my life," said Herb Asher, a professor emeritus of political science at Ohio State University, whose teaching and studies focus on campaigns, elections and public opinion polling. And though election night means the ads will finally stop, Asher warned it's possible the nation and the world could have to wait beyond election night for Ohio’s final result — perhaps days or even weeks — as the state completes the time-consuming process of counting and validating tens of thousands of provisional and absentee ballots. Despite all that’s at stake in Ohio and the potential for a late result, Asher says he doesn’t anticipate a long and drawn-out legal battle similar to the Bush-Gore showdown in Florida in the 2000 election. "We have a good electoral system here," he said. "We’re not like in Florida in 2000, when they were just making it up as they went along." Wisconsin is still reeling from last year's unsuccessful attempt to recall Republican governor, Scott Walker, over his moves to curb state spending, including eliminating union rights for most public workers. Although the Republicans won that battle, both sides now say they have emerged from the bitter struggle holding the advantage in the event of a few electoral college scenarios that put Wisconsin as the potential deciding state. 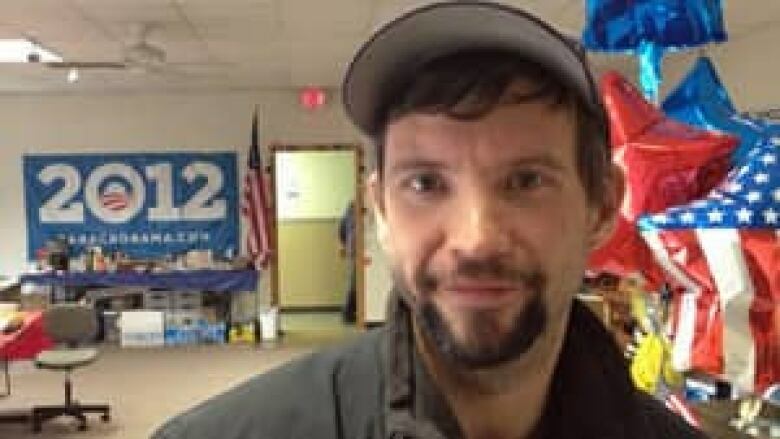 "The thing that wins elections in Wisconsin is voter intensity and enthusiasm," Wisconsin Romney campaign spokesman Ben Sparks told CBCNews.ca on Monday. "We're feeling pretty good right now." Thanks to the recall attempt, Sparks said, Romney can rely on "the largest, most comprehensive grassroots organization that Republicans have ever had in Wisconsin." But Gil Parr, another lifelong Democrat volunteering at the Obama campaign's Racine office, said Walker's anti-union moves have galvanized an opposition whose members will head to the polls fired up to support Obama. 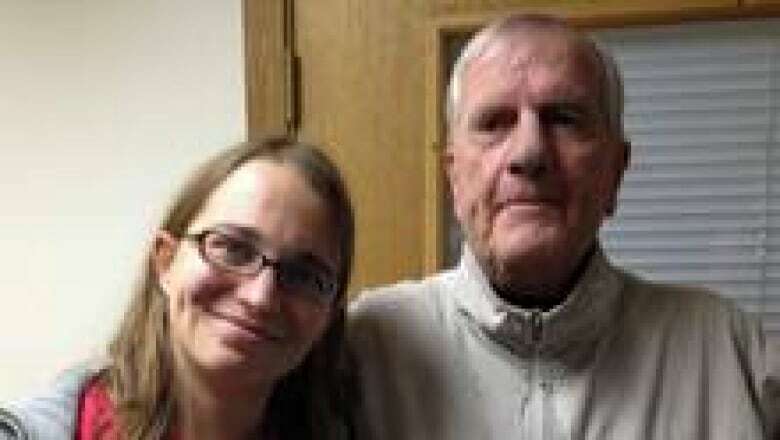 "If I wanted anybody to decide this vote, I'd want Wisconsin," Parr said. "It's a union-type state, it's a middle-class state and I'm sure they're going to go Democratic." The tight polls and testy election climate in Florida have observers again speculating about a repeat of the 2000 debacle of determining the state's current 29 electoral votes. Florida Democrats have already been to court before election day to force the Republican-led state government to extend early voting, after complaints over the weekend about long lines making it impossible for some people to vote. The early legal flurry was settled Monday evening with a compromise between the party and the counties. 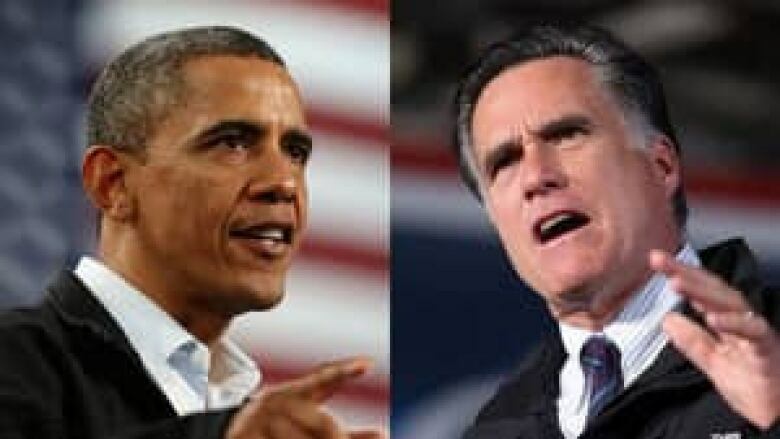 Barack Obama and Mitt Romney both sought suport in the so-called swing states, which are expected to decide the outcome of Tuesday's presidential election. Romney is slightly ahead of Obama in polls in Florida, which the president won in his blowout 2008 win over Republican challenger John McCain. In Virginia, Obama has a small lead in polls and is hoping for a repeat of four years ago, where he won by a 53-46 per cent margin. But if Romney emerges early on tonight as the clear winner in Virginia, it could mean Ohio and Florida are next. After that, he needs one more swing state and he'll be the next president. The little sliver on the map close to Canada that is New Hampshire could end up settling it all under a tie-breaker scenario in an exceptionally close race. If Obama loses Ohio but hangs onto Wisconsin and western swing states Colorado and Nevada in part from his massive support advantage among Hispanic voters in those states, while Romney adds Florida and Virginia to his Ohio win, then New Hampshire's four electoral votes would proved decisive. Obama beat McCain in the Granite State by 10 percentage points in 2008, but New Hampshirites have a fierce independent streak and would relish the chance to be the deciders. How wild would that be? What is the Electoral College and the 270-vote key? Can black America withstand an Obama loss?